Disruption is now a fact of life. Brands, irrespective of their industry or level of customer involvement, are going to need to shift from a “business as usual” model to one where they assume disruption will continue. Healthcare is not immune to disruptive power, as new start-ups offering access to healthcare monitoring and advice, and non-traditional healthcare providers such as drugstore chains and pharmacies promote easier customer experiences. It’s not surprising the market is ripe for change. Based on a 2015 study conducted by Strategy&, a company owned by PWC, only 49 percent of respondents in a national healthcare study of 2,339 U.S. residents were satisfied with their overall healthcare experience. Although 68 percent of respondents in the study did identify they were satisfied with the core benefits and 63 percent were satisfied with the cost and quality of care, disruption will take hold at the fringe of their offerings, as it has in so many other industries. The study clearly identified more than 40 percent of consumers are willing to trust large retailers such as Walmart of their healthcare needs while 39 percent were also willing to trust digitally enabled companies. Based on both Strategy& and Deloitte studies, the area most vulnerable to disruption is customer engagement. The Deloitte study identified a significant level of growth in the trust consumers have in pharmacies for providing reliable healthcare information. This growing confidence was also extended to health plans and life sciences companies, narrowing the gap with physicians, who historically have held a strong leadership role. We have labelled this trend “stealth attrition”, defining it as the slow erosion of the dominance of healthcare providers’ owning the customer relationship. Not surprisingly, the shift in trust to other sources of advice has accelerated to digital platforms that offer greater convenience and breadth of knowledge. A study by BCG Perspectives identified doctors remain the primary source for finding information before booking a major procedure, closely followed by friends and family, and websites and social media platforms. The do-it-yourself diagnosis trend is another to watch out for, with the growth of self-test kits and apps that monitor consumers’ food intake and heart rate, or reminds them to breathe and relax. The BCG Perspective report identified that between 2013 and 2015 consumers using technology to measure their wellness and health has grown by more than 28 percent, with Millennials representing 45 percent of that group. As knowledge and power shifts from the healthcare provider to alternative channels and providers, the healthcare industry will need to reduce the erosion of its core equities of knowledge and expertise by redefining the customer knowledge and health management experience. The healthcare industry needs to shift from a reactionary position to a proactive one where the doctor and the patient partner towards preventative measures that are sustainable, and allows for greater patient control when health concerns arise. The BCG Perspective study supported this significant trend where consumers are now looking to partner with doctors in order to effectively manage their health, rather than take on the role of a passive follower of advice. This model, which is increasingly taking hold across the globe, is also known as Shared Decision Making. Healthcare providers need to walk in the shoes of their patients and customers to understand the various friction points that lead to a lack of confidence or engagement. For example, how do you link an appointment made online during the attract stage to the actual room within the hospital to making intake faster and seamless? Since most customers check online reviews before making a final decision, it will be very important for healthcare providers to drive their brand advocacy through positive reviews. Ultimately mapping out the journey of the various customer personas and understanding how each engages in the healthcare provider’s brand across the three critical moments will assist in driving engagement scores up and reducing the anxiety and frustration levels of patients. The Deloitte research clearly identified the desire by customers to work in partnership with their doctors. This partnership needs to shift the service and treatment journey to better reflect the need for customers to feel in control and empowered to make major life-impacting decisions. In the engage and retain stages, consider building a customer healthcare program that allows patients to monitor and track their progress, allowing them to feel in control. Many hospitals such as Indiana University Health, Cleveland Clinic and John Hopkin’s have created online medical systems that allow customers to access records, update prescriptions and communicate securely with their doctor. The link to mobile or smart watch apps can provide constant reminders of the customer’s progress either as a preventative program to supporting a major treatment. The role of the doctor and healthcare providers will need to expand from providing only medical solutions, to include wellness and health advice as part of ongoing preventative measures. The third factor focuses around the deep emotional dimensions of the customer experience. To succeed, healthcare providers will need to understand how to effectively connect on an immersive emotional level with customers. Understanding how these emotional needs vary pending the customer journey will assist in ensuring the engagement process, physical and online experiences reflect their needs. Identifying the emotional need of each persona throughout the customer journey will also reduce anxiety and confusion while building trust and confidence for healthcare providers. For an active life persona who plays sports for recreation an immersive experience would focus around achievements and performance across their life stages and letting them understand both the benefits and some of the risks associated with taking care of their health. The immersive experience could include dietary recommendations and also cautionary notes, benchmarking versus the population, areas of consideration as preventative medicine to avoid injuries and to optimize health. The experience could easily be linked to their fitness tracking devices in addition to a personal healthcare portal that keeps an active record and progress. How consumers interact and engage with healthcare brands is fostered through learned behaviors. How consumers interact with banks, car rental firms, hotels and other types of experiences that require similar attention to the customer journey will set the tone and expectation for the healthcare consumer experience. Much can be learned from these industries that would ensure customers are effectively engaged in healthcare brands. Shifting to a customer-centric business model will also reduce the risk of stealth attrition and increase brand loyalty. 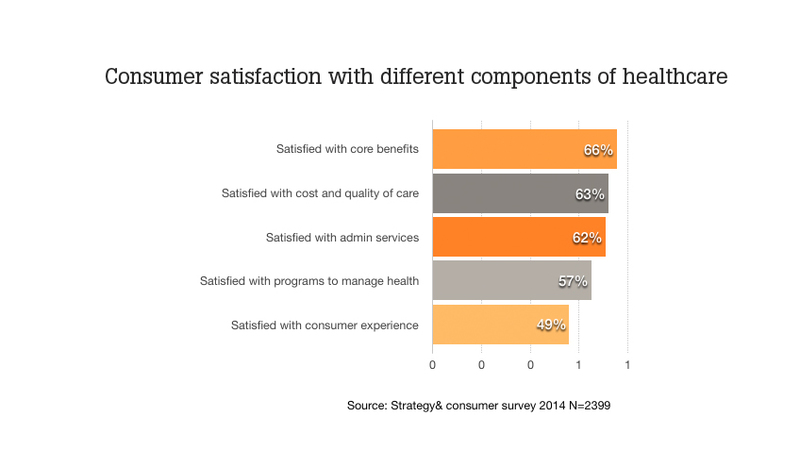 How has the consumer experience changed in your healthcare organization? What are you doing to improve customer relationships? Let us know in the comments below and be sure to subscribe to receive the latest Shikatani Lacroix insights in your inbox.